Maytags New Front Load washer is here! Why is my Washing Machine Leaking Water? 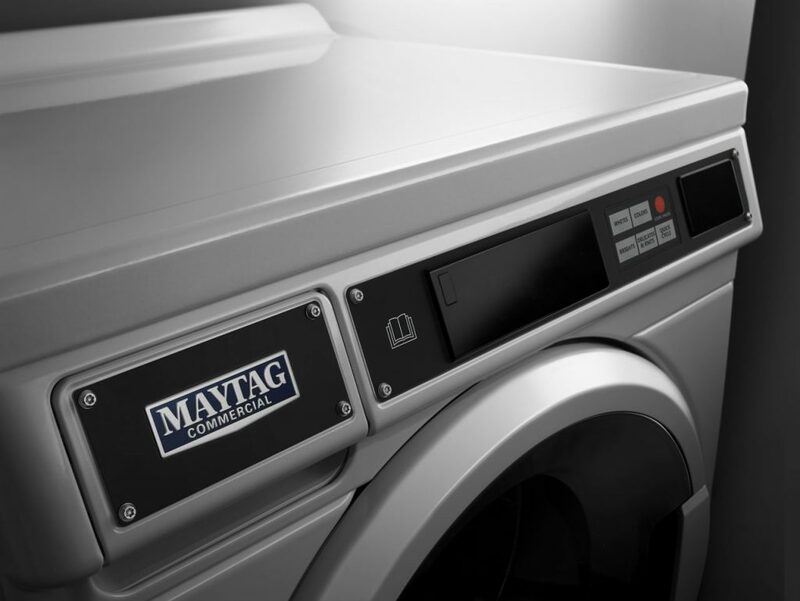 INTRODUCING MAYTAG’S NEW MHN33PN ENERGY ADVANTAGE FRONT-LOAD WASHER. 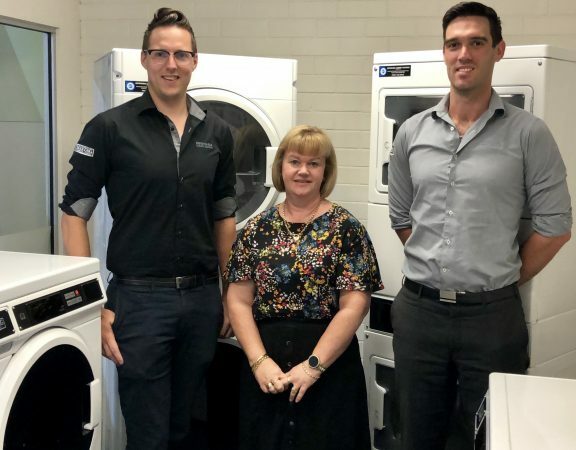 It’s not just a new front-load washer, but a big statement about laundry. It still fits smartly into the same floor space. But everything else about the new MHN33 Front-Load Washer has been significantly enhanced. From the Advanced Spin Technology for more consistent cycle times*, to the redesigned DuraCore drive system to optimize reliability, to the perfect balance of simple user controls and revenue-generation opportunities, it’s clear. We’re backing our powerful name with greater dependability than ever. 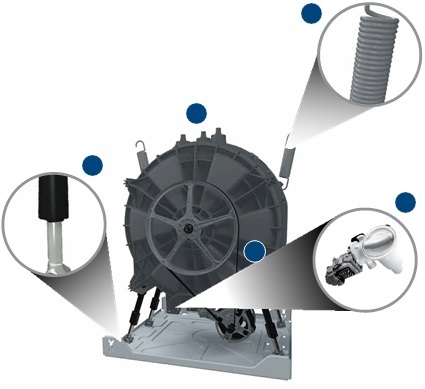 Provides better stability for entire wash unit with four dampers and two springs. Provides an accurate reading of cabinet vibration and allows washer to expand final spin speed limits. Delivers consistent cycle performance by selecting the optimal final spin speed for each cycle and load type. Helps reduce unbalanced loads through improved pump performance in final spin. Provides a more effective seal. Addition of garter spring enhances support if any deflection occurs. 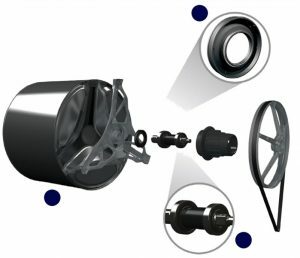 The robust shaft sleeve locks the two inner races of the premium bearings ensuring they turn with the shaft, helping to prevent drive shaft wear. Premium bearings are sealed for added protection enhancing longevity of the drive system. Shock-resistant, die-cast trunnion and robust drive shaft provide additional strength to overall drive system and basket structure. 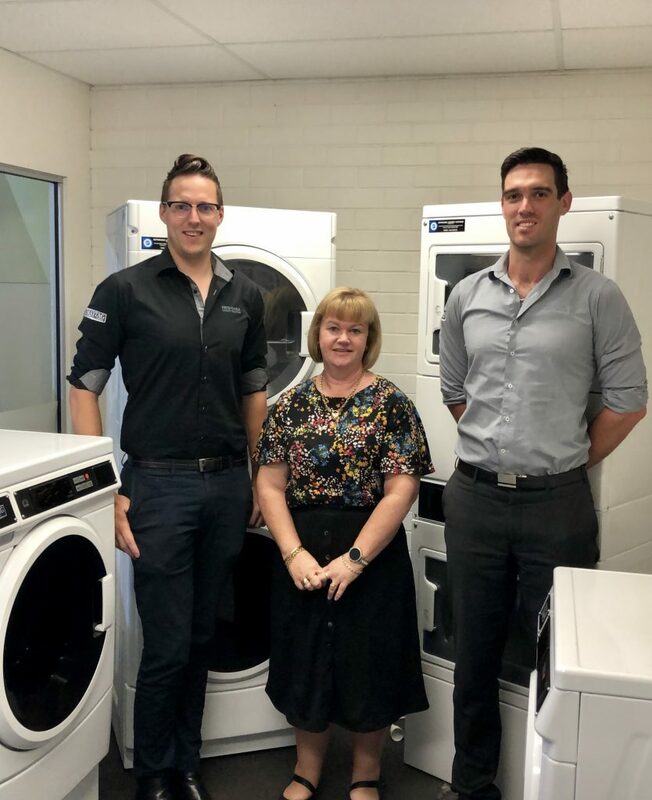 And of course Maytag’s Industry renowned energy efficiency continues, this ENERGY STAR®-qualified Front Load Washer uses on average 40 liters of water per cycle, without sacrificing cleaning performance.